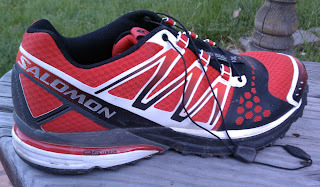 Salomons have always boon good to me, as far as trail running shoes go. From an old heavy pair of Gore-tex ones, through a couple pairs of XA Pros, two pairs of Wings, and the Speedcross 2's I still use, I've always had good luck with them. So it was with high hopes that I tried out this pair of XR Crossmax Neutral's. 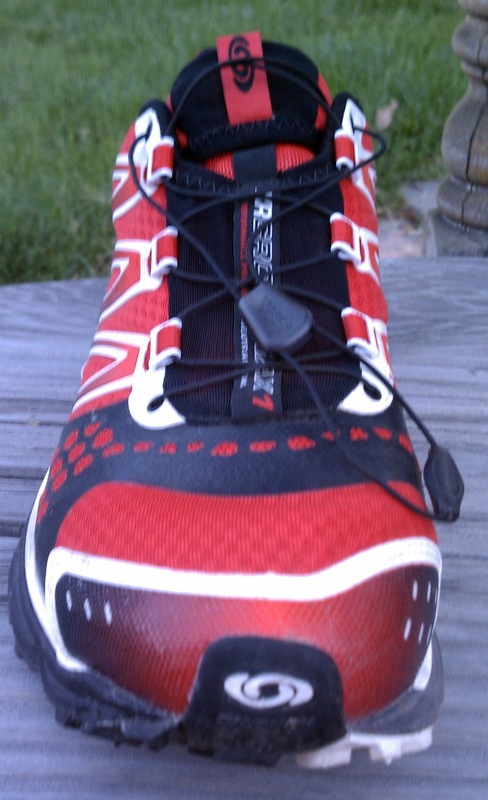 Right out of the box, they felt great - just like all the other Salomons I've worn. Almost zero break-in time is a great selling point for the brand. The lacing system was of course familiar - the lace was a bit long on this pair, but it tucked nicely up under the tongue flap. Everything felt fine, and I wore them to work for a day to give my feet a chance to settle into them before running in them. No problems - fit was fine all around. After a series of runs, both on streets, trails, and combinations of the two, I was left feeling a little non-plussed. They felt a bit clunky on the road, and too squishy on the trail. it was hard to picture taking these out for a serious road run, or equally a hard trail day. First, this shoe is inherently a compromise. Anytime designers try to combine two things into one like this, it's not going to do either quite as well as something purpose-built. Think of an enduro motorcycle - the on/off road kind. It certainly isn't as efficient around town as a road cycle, nor as good in the dirt as a motocross bike. Same idea here. Second - is my fault. I've been moving toward more minimal shoes in both my road shoes and trail shoes recently. The Saucony Kinvara and the New Balance Minimus are my go-to road shoes these days, and on the trails I really prefer my New Balance MT101s. Even my Salomon Speedcross 2s - which used to be my light, race-only trail shoes - are feeling a little heavy these days (but apparently the lightened it and lowered it in the Speedcross 3 - intriguing...) And of course, I try to get out in Vibram FiveFingers about once a week as well. "lots and lots of shoes" indeed! I dug the Salomon Fellcross...you might too. Under 10 ounces (for a normal size foot, not yours or mine) and a 4mm heel drop. You'd have to win a pair, though...$170! I think not. Thanks for the write-up on the run! I will post it tomorrow on our (Big Blue Adventure's) Facebook page. I won a pair of these at the Big Blue race. The weight and heel drop does concern me but there free right? 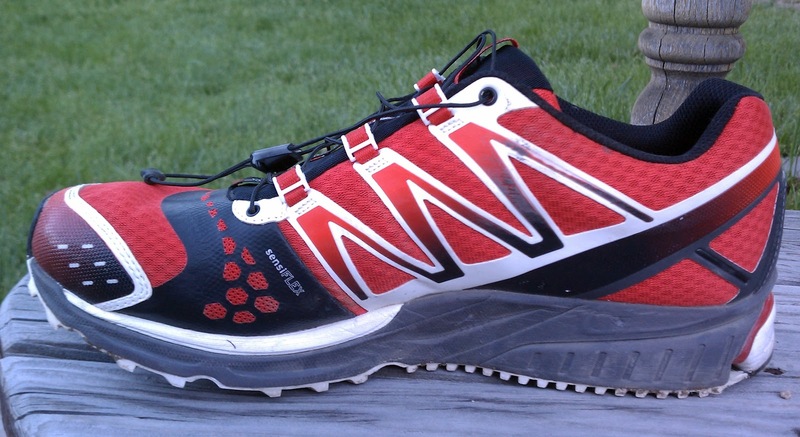 Like you, I'm partial to the MT100/101 and have recently been running in the Rouge Racer (Montrail) which is also a nice shoe. I do own a pair of Hoka Bondis for the LONG races and while they seem juxtaposed to the above shoes they're very light (8.5 oz) and have about a 5mm heel drop...just a boat load of cushion in between (too squishy for you maybe?). Umm, that second sentence should have the word "they're" and not there...sorry. I do like the looks of the Rogue Racers. The Hokas - I just can't wrap my head around it. Would love to try a pair on sometime.